Unable to cease their conversation that became Beso the Donkey (MSU Press, 2010), and A Hundred Million Years of Nectar Dances (Green Writers Press, 2015), Jarrette found himself addressing Ekaterina in a series of love poems after she suddenly died in 2014. Many are apostrophes, all unsentimental, sometimes harrowing, unflinching, yet full of the exotic spirit, joy, and humor, that shall always be this remarkable, noble, woman. Also fluent in Russian, Italian, Ancient Greek, and Spanish, Katya was a trauma medicine specialist who worked with Médecins Sans Frontières and other international organizations. Her medical team was forced to witness atrocities in Nigeria, perform triage, and subsequently kidnapped, unpersoned, and ransomed. The poems—lamentation, requiem, praise—are visited by her muses: Akhmatova, Tsvetayeva, Sappho, Dante, Anne Carson, Giacometti, and Charlie Chaplin. The book is an unblinking, breathing, monument to love, to the other, a psalm of living fully alive on a planet under seige, and further investigation into the mystery itself which is Jarrette’s life’s work. 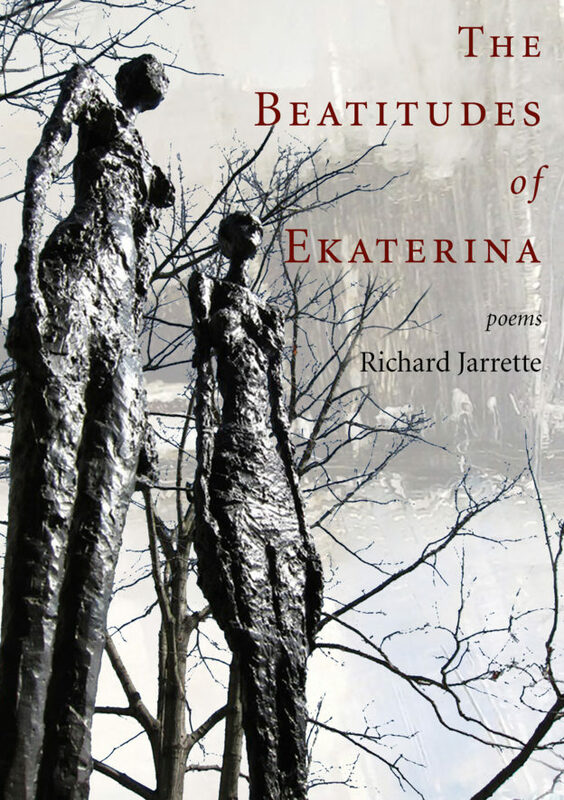 Richard Jarrette is author of Beso the Donkey (Michigan State University Press, 2010), Gold Medal Poetry Midwest Independent Publishers Association 2011, and A Hundred Million Years of Nectar Dances (Green Writers Press, 2015). Poetry columnist for Voice Magazine of Santa Barbara, his poetry books have been endorsed by W.S. Merwin, Joe Stroud, Jane Hirshfield, and Sam Hamill, and are used as texts in MFA writing programs as well as for ethics, philosophy, and religion courses. Jarrette lives reclusively on the central California coast after a forty year career as a psychotherapist. Aligned with the Peter Frisch Actor’s Studio, he is writing a play.